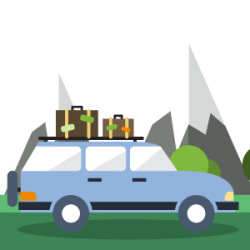 When you are looking to visit or to immigrate into another country you may have to translate all your personal documents, which include your birth and marriage certificates, but also your passport. 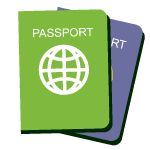 Our passport translation services are fast and cheap, while the translation is of the highest quality, guaranteed to be accepted in any English speaking country. If you are planning to visit a country where people don’t understand your language, then you’ll probably be requiring a translation of your passport. Certain countries demand passport translation for certain languages. Some of the government and immigration agencies may also have this prerequisite for getting your passport translated into their official language. 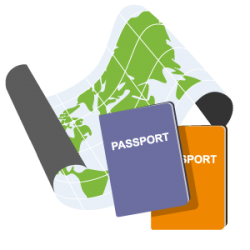 At DutchTrans, we provide certified passport translation services of the highest quality at the lowest rates you can find in London. Our skilled professionals have a vast expertise in the legal area and they can do a translation of your passport from any language to English in 24 hours or less. We have carefully selected our translators and we make sure that we gather talented linguists from all around the globe, because we deliver translation services for a wide range of languages. 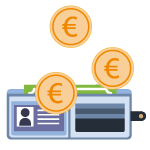 At DutchTrans, we made our passport translation services available since the beginning and the feedback that we received from our international clientele is simply great. Get in touch and ask for your free quote! With our network of over 3000 professional translators from across the globe, we are able to translate your passport from over 120 languages into English and give you a certified translation for it or any other personal document you may need to have translated. 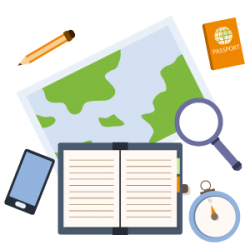 You can have a certified translation of your passport at only £20 per page, which is probably the lowest price you can find in the United Kingdom! We are able to go that low due to our highly efficient workflow, which allows us to quickly get things done! We understand that there could be emergencies at times, and our rush and next day translation service is there for helping you out in such a situation. You can get your passport translated within 24 hours or less, at no extra charges. Does a government require a passport translation from you? Is it immediately demanded by a certain agency? Do you need a translated passport before entering a country? Despite the nature of your requirement, you must have an experienced linguist who can translate passports with extreme care because passports are used worldwide for traveling purposes and reviewed by authorities, agencies, and institutions. The passport is a crucial document, and therefore, its translation needs to be precise and professional. In order to reach that point of perfection, we offer for our clients, a full translation process where the translation is proofread-ed by another translator, leaving no room for errors. 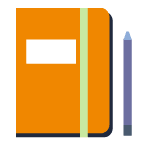 The translation is then sent to you for approval and only after that we will add the translation into the original template (so the translation will look exactly like the original), complete the certificate of accuracy and send you the final result. We are fully aware of the great need of confidentiality associated with such documents and this is why DutchTrans leaves no stone unturned in delivering professional quality translations while ensuring full confidentiality for all your documents. Our professionalism is marked by the way we respect and abide by the confidentiality of such documents. DutchTrans has been constantly providing excellence in passport translation services for the past several years. Our accommodating policies for our customers, such as low prices and fast delivery of high quality services, had led us to the top of the translation industry. This is the very reason that we have been credited with success in everything that we do. Every client who worked with us in the past, including individuals, governments, government agencies, multinational giants, and private enterprises trust our services and still come to us whenever they need more translations. We only use translators who are well versed in the legal field which are aware of the legal implications and requirements when it comes to certified translation, thus providing translations which are guaranteed to be accepted by any state institution in the UK. We make the translation look exactly like the original, we provide you a certificate of accuracy which testifies to the accuracy of the translation and we seal every page so as to eliminate any chance of forgery or fraud. You go out to the market to buy anything, how do you assure the authenticity of the product? Well, you check for the label and most probably you check for certifications. That’s how important certification is, then why not translations. Similarly when you travel and your passport is needed to be translated, you are asked to submit certified passport translation. And that’s when your trouble begins, you start pondering over the fact that you’re in UK, where every service is found in abundance and little to no way of knowing which one is best. DutchTrans is breaking that stereotypical mindset. With excellent certified translation services, DutchTrans is the number one translation company in UK. And we provide all sorts of translation services including certified translation of your passport. Our clients are valuable for us and we are always ready to assist them in their projects. Our immigration specialists take care of the passport translations. 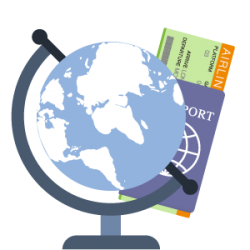 As part of their expertise, they are fully aware of all the prerequisites associated with passport translations. So if you have a passport that must be translated with a certification of accuracy, we are waiting for you to give us a call or start talking with us through our live chat option. If you are looking to get your passport translated fast and accurate, get in touch with us at your convenience, we will be here for you 24/7 to answer any questions or to offer a free, instant quote for your translation.